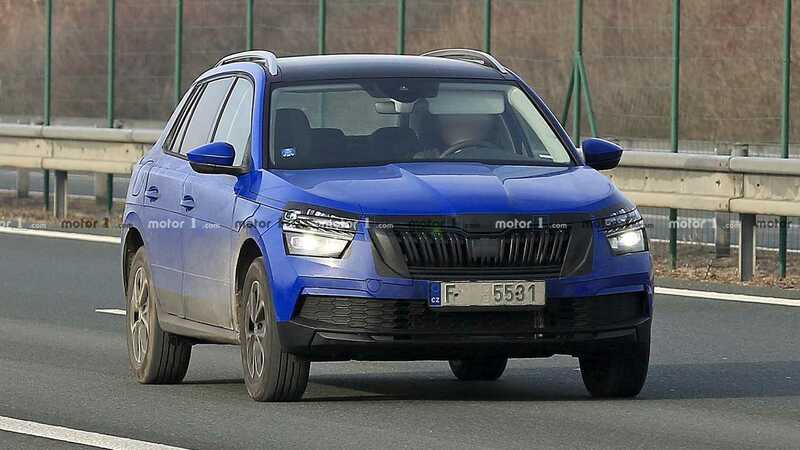 Skoda uses the oddest type of disguise for its prototypes. It doesn’t come as a big surprise the Kamiq in European flavour looks (and probably is) bigger than its segment rivals since Skoda’s models are usually the largest models in their respective segments to ensure best-in-class room inside the cabin. 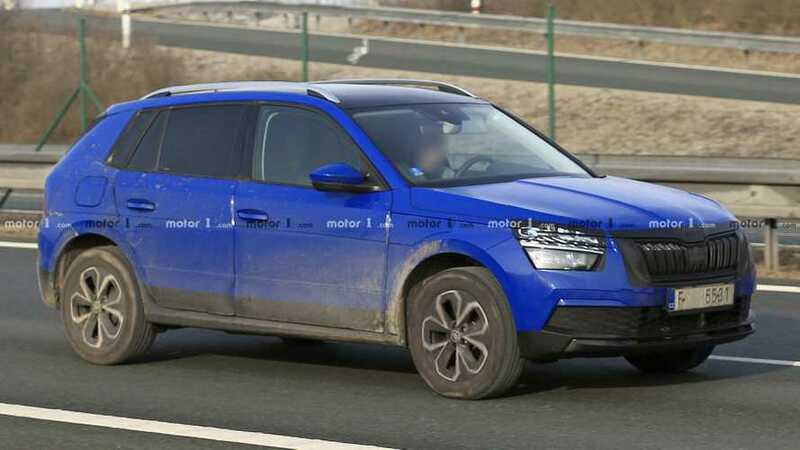 Looking a lot different than its more humble Chinese cousin, the subcompact crossover has been spotted roaming the highways of the Czech Republic ahead of its premiere in less than a month at the 2019 Geneva Motor Show. Not one, but two prototypes have been caught by our spies, and you might think at first glance that the test vehicles are undisguised. However, in typical Skoda fashion, the B-segment crossovers are carrying camouflage in the exact same colour of the actual metal to hide the real design. This type of disguise actually works since it does a good job at masking the real thing, but honestly, we find it a bit annoying. The prototypes look just weird and rather ungainly, especially since the Mladá Boleslav automaker decided to slap on some black tape around the grille as well as on the lower sections of the body. There’s even body-painted camo to hide half of the quarter glass, which is downright peculiar. When the disguise will come off, expect the styling to be a toned down version of the Vision X concept we saw at last year’s Geneva show. While we don’t get to see the interior in this batch of spy shots, Skoda has already revealed the cabin of its new Kamiq crossover in the picture posted above. Long story short, the dashboard design echoes that of the new VW Golf-rivaling Scala compact hatchback. We shall see the Euro-spec Skoda Kamiq on March 5 during the first press day of the Geneva Motor Show. Meanwhile, expect more teaser images to fill in the pieces of the puzzle.